Finance students are primed for success in all fields of business. 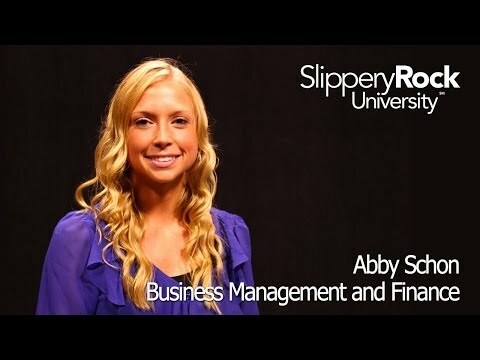 As a Finance major at SRU you will learn about the financial records, corporate securities, and financial techniques used in all areas of business. You will be prepared for a variety of careers in finance, business, and other areas in the private and public sectors. The Finance program will prepare you for a career in financial management: the art and science of managing money. Organizations of all size and structure need effective financial management, making a degree in Finance a smart choice for future employment. The Finance program will introduce you to all facets of corporate finance, commercial and investment banking, financial planning, forecasting and budgeting and asset and liability management. Finance majors are particularly well-suited for positions in the private or public sector that require knowledge of financial institutions and financial operations such as banks, insurance companies and real estate firms. Finance majors are also well prepared for graduate and professional schools. Abby Schon is a Business Management & Finance major at Slippery Rock University. She talks about the campus and why she chose SRU. She is an active member of Colleges Against Cancer, Up Till 2 for St. Jude, and SGA-Student Government Association. All of these organizations led her to the VP position of financial affair for SGA. In addition, Abby was able to participate in a summer internship with BAE systems over the summer.